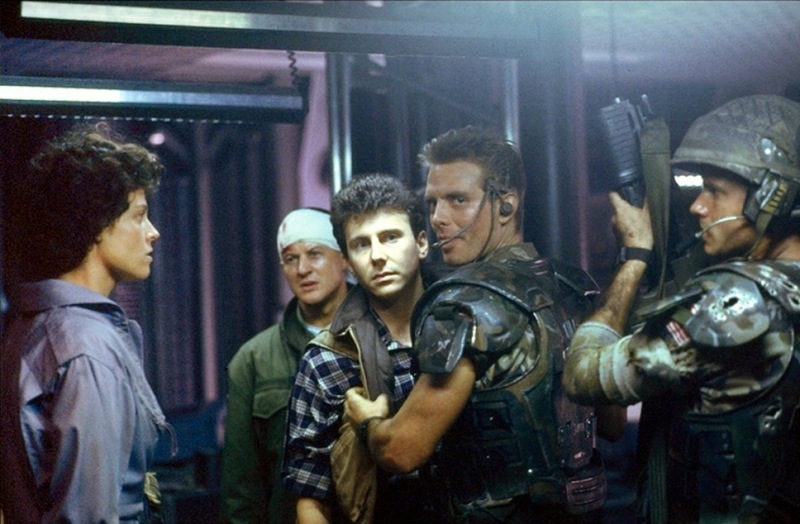 To wrap up this Friday of Fox, it's time to celebrate the release of one of my favorite movies of all time, Aliens. Hitting theaters on this day in 1986, James Cameron's war movie sequel to Ridley Scott's 1979 atmospheric slasher flick has been a constant in my life since that fateful Saturday night I saw it on cable as a child. Just this year I've met Lance Henriksen and read his book, been on a plane with Michael Biehn, seen Bill Paxton at his first conventions, stood outside a restroom next to Ricco Ross, witnessed the cast reunite in another country, listened to stories from James Cameron and Sigourney Weaver and seen the movie twice on the big screen. What's so fab about it? I dunno, I've just always enjoyed the simmering pace that builds to exciting crescendos, the intricate yet large scale and lived in design, the cast of likeable and memorable characters, an amazing score, fantastic practical creature and model f/x, the terrific cast and just the feeling of being transported to a world not your own. 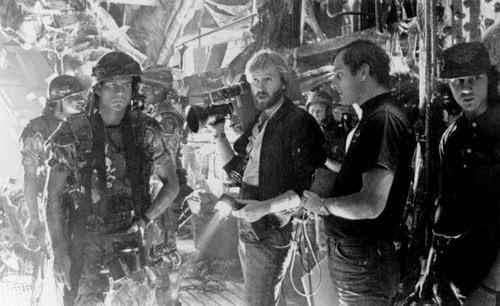 Made for $18 million, James Cameron and producer Gale Ann Hurd set out to utilize the world that Scott's film had created but move in a different direction tonally to create a war film/roller coaster ride experience. After battling a stubborn English crew seemingly more interested in tea time and group lottery pools, Cameron and company completed the film after 10 months. 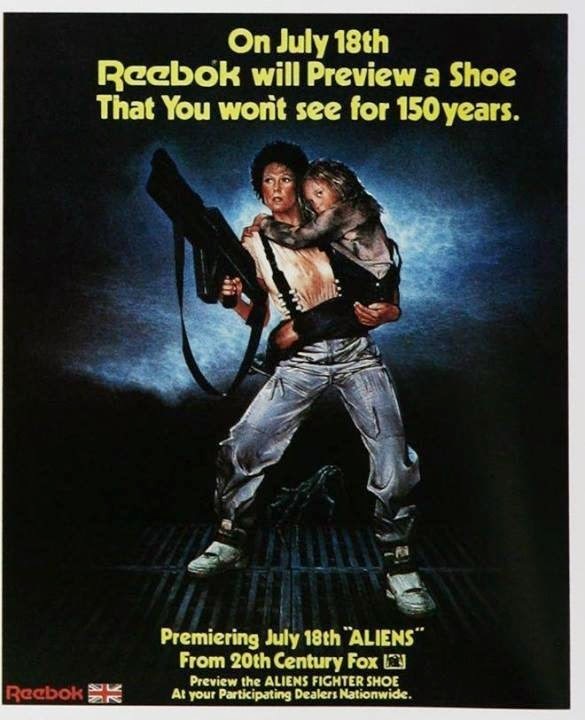 Aliens opened up #1 on July 18th, 1986 with a $10 million dollar gross and retained the top position for 4 weeks on it's way to $85 million dollars, making it Fox's biggest hit of the year. Since then, Cameron has only made one film outside the studio, 1991's biggest hit, Terminator 2: Judgment Day. 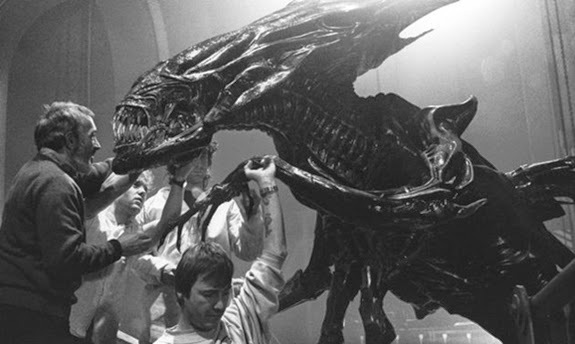 Aliens' performance was good enough for 7th on the years top grossers list behind the likes of Top Gun, Crocodile Dundee, Platoon, The Karate Kid II, Star Trek IV and Back to School. Other notable titles released in the same year includes Transformers: The Movie, Highlander, Big Trouble In Little China, Heartbreak Ridge and The Golden Child. The legacy of Aliens has lived on through 3 so-so sequels, 2 films with the creatures facing off with fellow Fox franchise Predator along with comic books, novels, video games and toys galore.